I unfortunately write this issue in the midst of a particularly bad flare up. After hitting too many flare up triggers in one day at the weekend, I was left sofa-bound, crying and in a heap of a mess. When will I learn that I can't do absolutely everything? I shared a photo depicting my struggle on Sunday morning, on both Facebook and Instagram and was truly touched by how many of you reached out. Some sent me well wishes for a speedy recovery, some shared that they knew all too well how bad the flare ups are and perhaps most surprisingly, some thanked me for sharing my own experiences of living with hypothyroidism and Hashimoto's so honestly. I don’t sugarcoat living with the health conditions I have and I always promise to be authentic and honest. Although sometimes I second guess whether to post the bad parts of my health experience, I just want to show that I’m like every other thyroid patient; I have ups and downs in my health too. I don’t know many other thyroid advocates who share their own experiences so honestly and show the blips in their health as well as the successes. As well as us all aiming for optimal health, I want to also tell you that it's OK to have less than perfect health days. In fact, it's completely human. 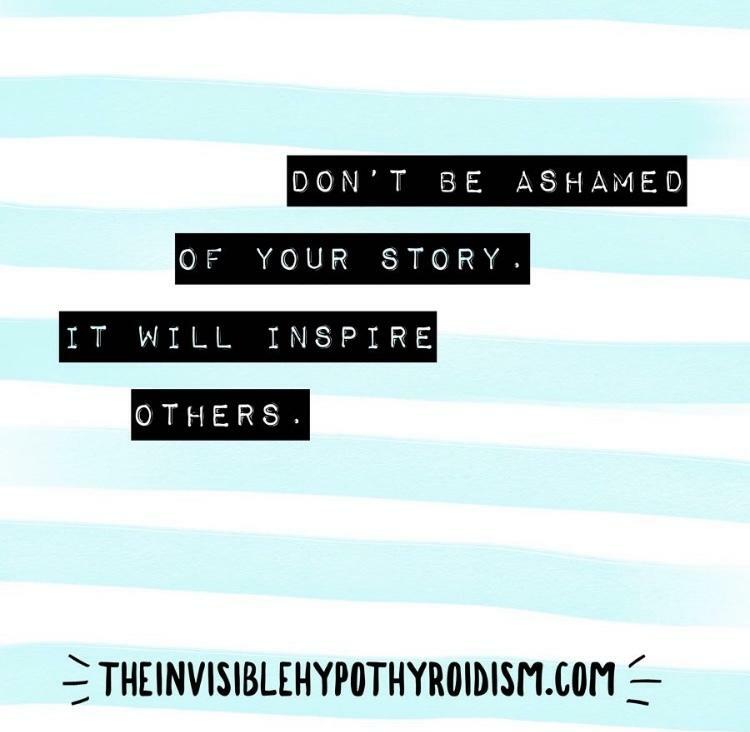 So by meshing the knowledge I have gained through my own thyroid journey, with my own, personal experiences, I try to create something authentic and genuine with The Invisible Hypothyroidism. Informational posts mixed with personal blogs; a place that people know they are understood and made to realise that they are not alone in what they experience. And as a patient advocate, I'm not only responsible for equipping you with the tools and knowledge to get back to good health, but I'm also responsible for giving an honest and authentic experience of living with thyroid conditions. Since day one of The Invisible Hypothyroidism, I have meshed together being a knowledgable advocate and someone still going through the journey, because it's ongoing. It's always ongoing. Also, don't forget to enter my competition giveaway if you haven't already! Handmade Theo The Thyroid Plushies! 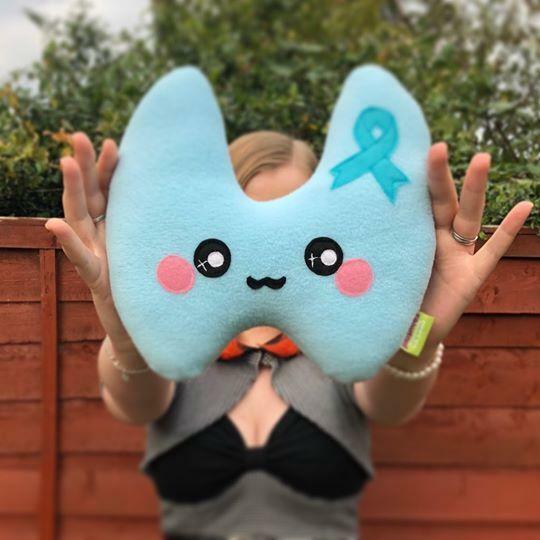 I had these adorable, lovingly handmade Theo The Thyroid plushies created exclusively for The Invisible Hypothyroidism and I’m so excited to finally share them with you. By purchasing one, you support the work I do! You can now LISTEN to my posts instead of reading them, which can help if you have thyroid brain fog, fatigue, a visual impairment or are short on time. October is Pregnancy and Infant Loss Awareness Month. But where does this tie in with thyroid disease? Well, just having a thyroid condition puts you at a higher risk for losing an unborn child. As announced back in August, I was very pleased for The Invisible Hypothyroidism to be sponsoring an event held in aid of Mind, the mental health charity. As many of you will already know, I not only write and advocate about thyroid disease, but also the mental health conditions that we often experience alongside it. Let me fill you in on everything that's happened since my last personal thyroid journey update back in March! I'm taking part in Thyroid30. If anyone else is, please come and join my group! It's called Thyroid Love. Don't forget to join me on Facebook for up to date thyroid news, articles, blogs and more. It's a brilliant community which aims to provide you with support, advice and a safe and welcoming environment for you to meet others going through thyroid issues too, and learn together. It will also empower you on to your journey to better health with thyroid disease. Many hypothyroid patients complain of muscle and joint pain being among the most bothersome hypothyroid symptoms. As well as the intense fatigue that hypothyroidism causes, aches, pains, stiffness and weakness in joints (such as the knees and fingers, especially thyroid leg pain weakness) and muscles (such as the calves, back and feet) are well reported. I’ve had horrid experience with it myself. I've been editing and reviewing my book a lot the past few weeks. Don't forget to sign up to hear when it's available to read. I'm still unsure about whether to self-publish or pitch to a publisher... All suggestions welcome!